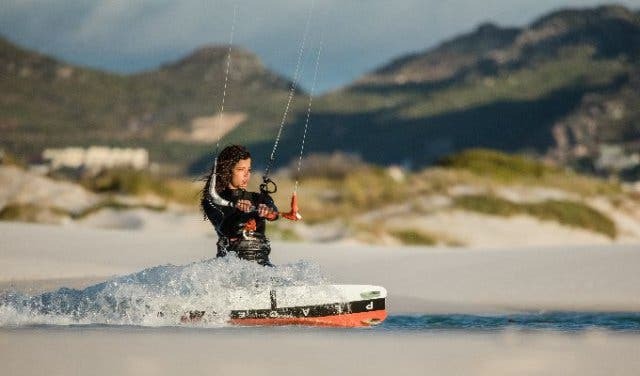 There are lots of ways to describe kitesurfing – the adrenaline-pumping sport of riding the ocean’s wave propelled by a flying kite. It’s exhilarating, technical, difficult, even life-changing, some have said. 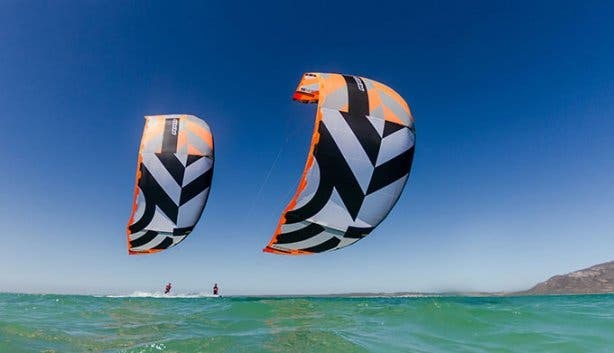 At the High Five kitesurfing school, they also want to make sure that you enjoy yourself. 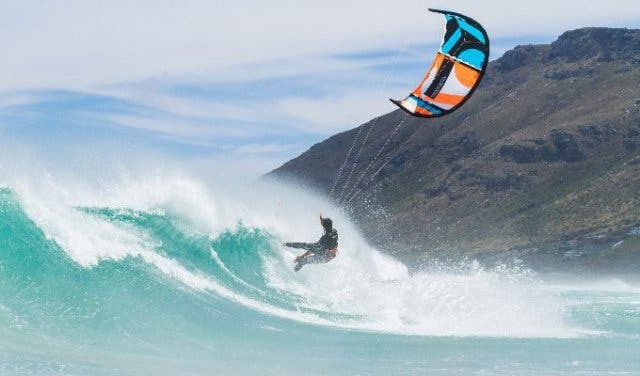 "We are the ones who provide the most fun,” says Alex Vliege, one of the owners of High Five Kitesurfschool in Bloubergstrand, Cape Town. And the reason why you can relax and relish the experience when taking lessons at High Five is because they work according to the highest standards. Their trainers are accredited: the gear is top notch; they teach in all the best locations and at good rates; and they can teach anyone from beginner to pro. 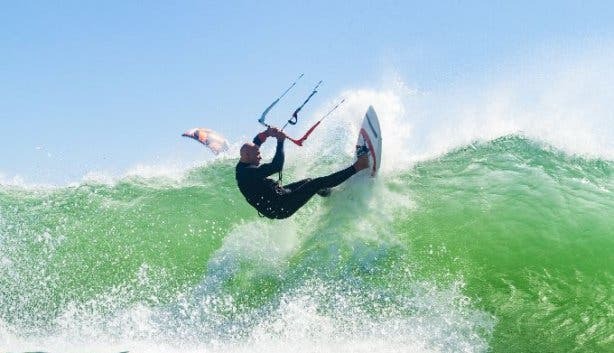 High Five is situated adjacent to Kite Beach, Bloubergstrand, which is right where Red Bull King of the Air ”the most badass, big-air kiteboarding contest in the world” takes places. 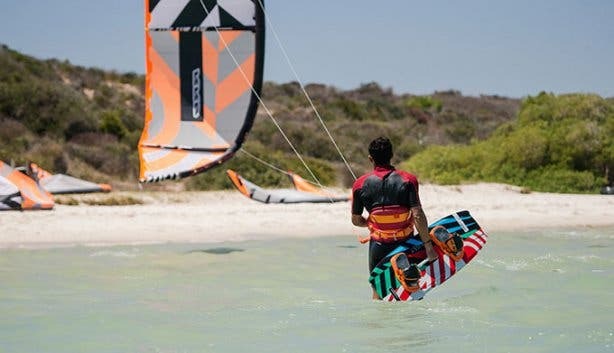 It’s a buzzing spot during kitesurfing season in the summer. “Kite beach is just in front of our door,” says Vliege. 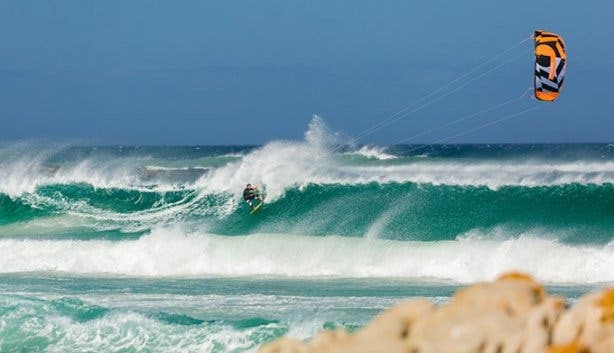 It’s a buzzing kite spot during kitesurfing season in the summer. 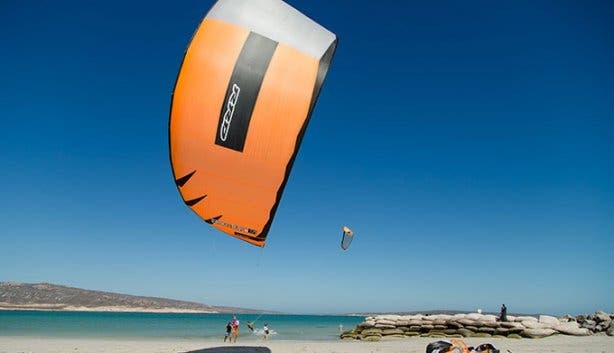 High Five is also in other prime kitesurfing locations in the Western Cape, including Big Bay, Hermanus and Langebaan. 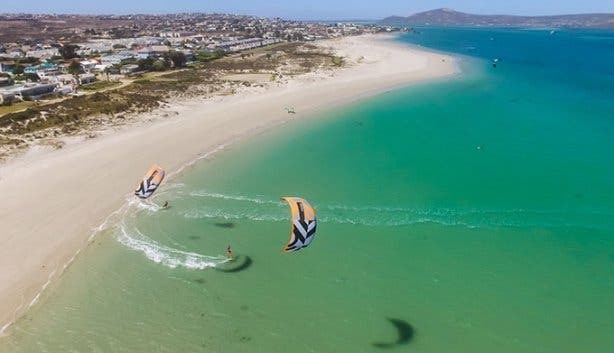 After the first lesson, most of the training takes place at the Flatwater Lagoon called Shark Bay, in Langebaan, that's where their kitesurf shuttle heads to every windy day. For the Wave Clinics, you have to be a high flyer or getting there. Or, as High Five says, you have “to be stoked to hit the waves.” You choose between two: a one-day lesson of three hours, or a three- to four-day lesson of about 12 hours. 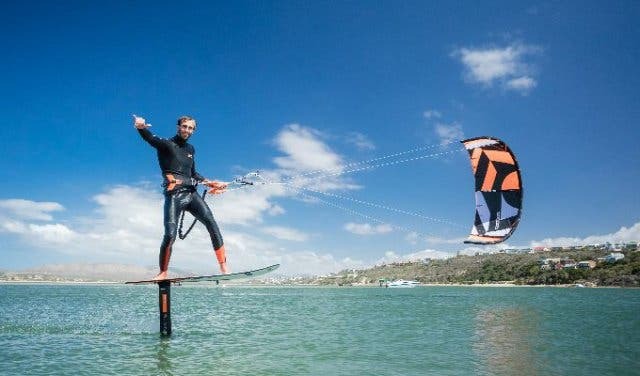 Note: High Five has a 3-for-2 lesson special for kitesurfing and stand up paddling lessons. To Book: Email info@high-five.co.za, call +27 (0) 72 902 7899 or simply drop by the shop (it’s adjacent to Kite beach). For more information, visit www.high-five.co.za. 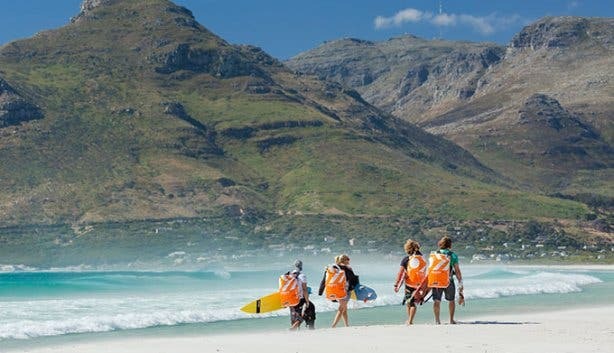 High Five embodies the surfer lifestyle and runs surf hostels in a chilled atmosphere, and they have hostels and apartments from Table View to Blouberg. High Five also has other outdoor adventure activities, from abseiling to skydiving. 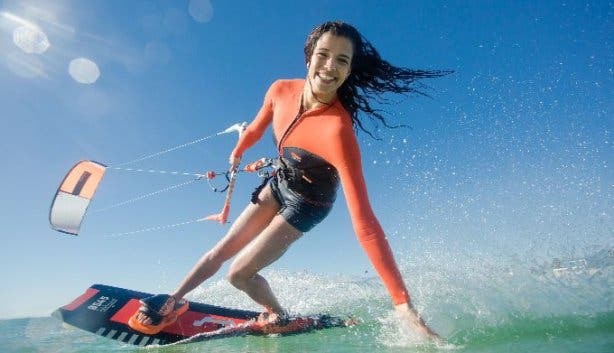 Once you’ve got the hang of kitesurfing, why not try surfing or stand up paddling. 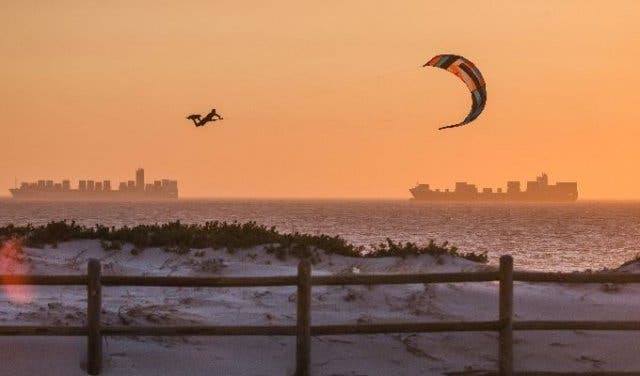 Indulge your inner adrenaline junkie with our pick of the best extreme sports in Cape Town and surrounds. There are tons of other fun and exciting things to do in Bloubergstrand. Go paintballing, kitesurfing, sandboarding or on an adventure tour at Zeestock Adventure Lodge.